There is a Marks and Spencer food hall in Birmingham New Street station that I pass through on my commute. I only popped in there for a loaf of bread, but while I was in the queue a “new label” caught my eye, and more than that a mention of peanut butter. I soon found myself with two items at the checkout, bread and Chocolate Covered Peanut Butter Caramel Chunkies. The bag is a bright orange in colour and metallic, which does make it stand out. 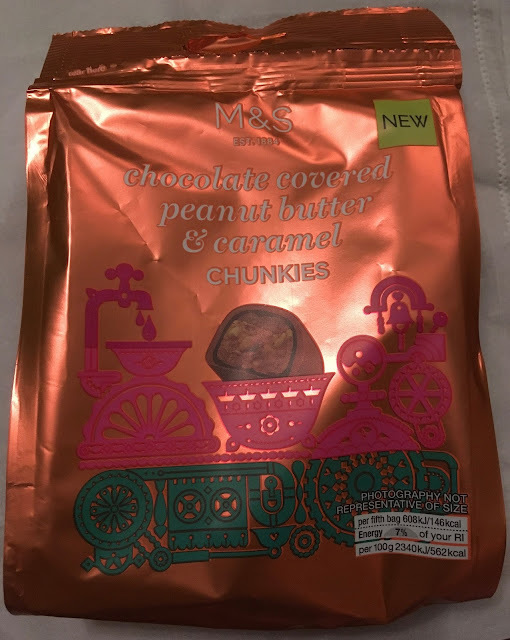 There is a sticker for re-sealing, but once I opened up the bag I realised there was only nine chocolates, and as I was sharing soon realised there wouldn’t be anything to reseal in there. 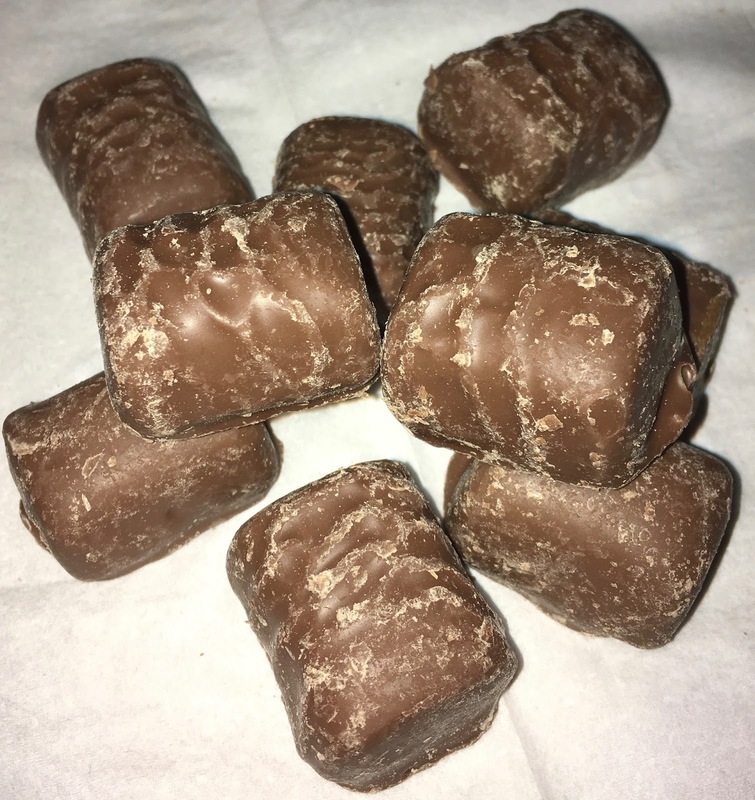 The chocolates certainly look chunky and though they do need two bites to eat, they are quite light and fluffy in texture. There is some crunch from nutty bits, but ultimately they are soft and easy to eat. This means there is another reason there won’t be anything to reseal, you eat one and you immediately want another. 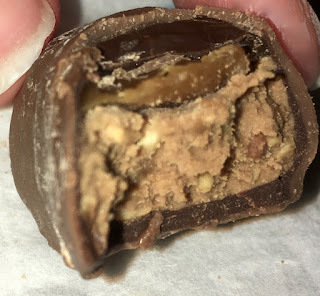 I did love the flavour though, there is lots of nut taste, a hint of salt and loads of creamy milk chocolate. The added layer of caramel gives these a nice gooey feel, dded sweetness, and a layer of luxury. These are a bit too moreish, have a nice mix of textures and combine some of my favourite flavours. I really should have picked up two bags!